Let’s pretend like we live in a world where there is no political unrest or the threat of terrorism. I can wish that for my son, right? Since this is the (hypothetical) case, we have a some things to do and see in Egypt! Cairo is the capital of Egypt and the second largest city in Africa. It’s set on the Nile River – which I just found out you cannot touch the water! More on that later. West coasters out of LAX have a 23hr travel time to look forward to with a long layover in Istanbul, Turkey. Something worth noting, many flights seem to get in at 1-3am! Fortunately for those on the east coast, nonstop flights (10hrs) out of JFK seem plentiful and if you can’t catch one of those, a quick layover in Istanbul is likely. Don’t even bother looking up flights from PHL unless you want two layovers and a 30 hour fly time. Yikes. Don’t forget to stop at the ATM to withdraw money before leaving the airport. The currency is the Egyptian Pound (EGP/LE). 150 EGP is equivalent to $20 USD or 17 EUR. Cairo Airport Shuttle Bus – a bus departs every half hour and costs around 35 LE ($5). The buses run throughout the night so if you got in at 2am you would be in luck! It’s only 14 miles into downtown Cairo and takes about a half hour. 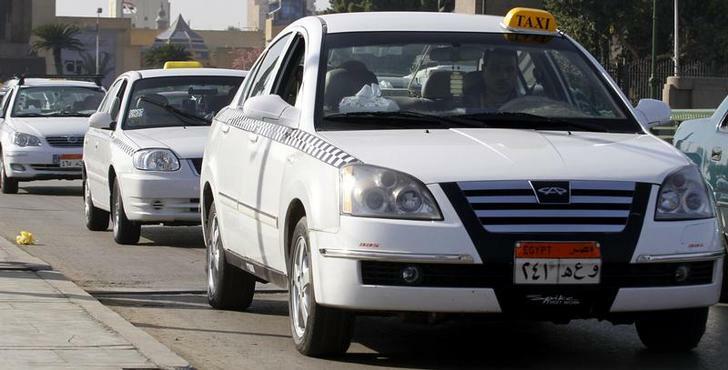 Taxi – the cost is between $10-20 USD to hop in a cab to downtown Cairo. Be on the lookout though – the old black and white taxis usually do not have a meter and prices are negotiated before traveling. The newer white taxis or standard yellow cabs have meters. You want these! Private car – for a bit more money, you can ride in a luxury town car or van to your destination for $20-30. The fastest and cheapest way to get around Cairo and to the pyramids is by Taxi! You can book one for a trip to Giza or hail one down yourself. Remember, the white and yellow are metered whereas the black ones are not so you will most likely pay more. Also, never hop in a taxi right outside your hotel. They will always charge you more. Go down a block or two and hail one yourself. Giza Pyramids – let’s be honest, this is probably the main reason people go to Egypt! They are considered one of the Seventh Wonders. 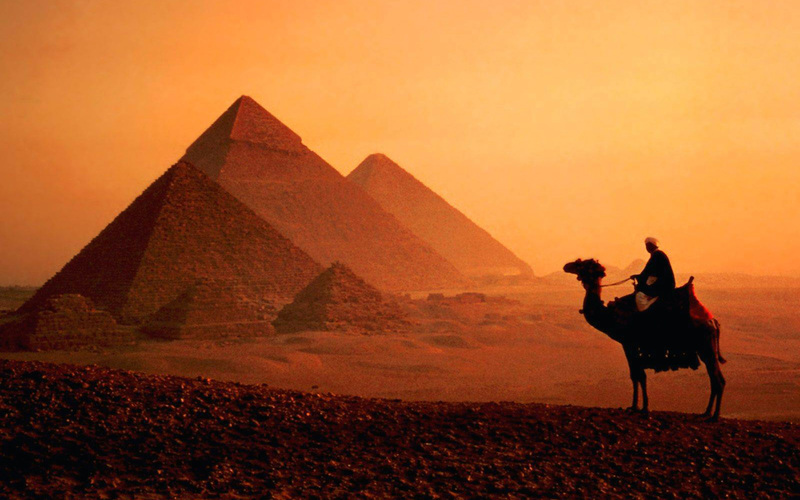 These pyramids have remained intact for close to 4,500 years. You’ll find three primary pyramids, the best known being the Great Pyramid of Cheops. 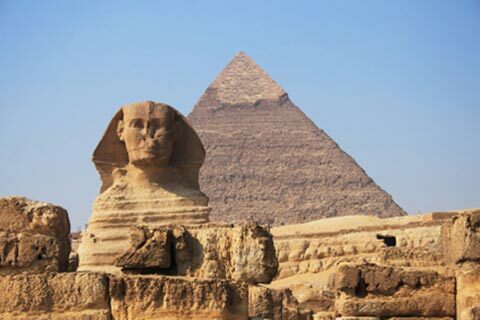 Resting atop the Giza Plateau is the Sphinx – a massive statue with the head of a man and the body of a lion. General admission to the site costs 60 EGP ($10 USD), and each pyramid charges extra to tour the tunnels. Entry to the Great Pyramid of Cheops is 100 EGP ($16.50 USD). 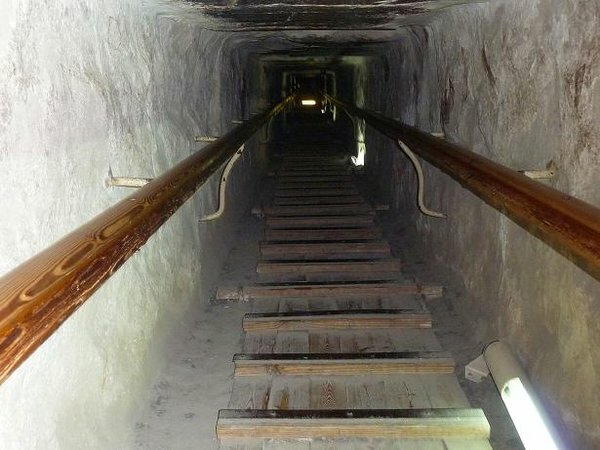 In order to preserve the Great Pyramid’s tunnels, only 300 visitors are allowed to enter each day. The Pyramid of Chephren costs 30 EGP (around $5 USD); the Pyramid of Mycerinus costs 25 EGP (roughly $4 USD); and entry to the Sphinx is included with your general admission. 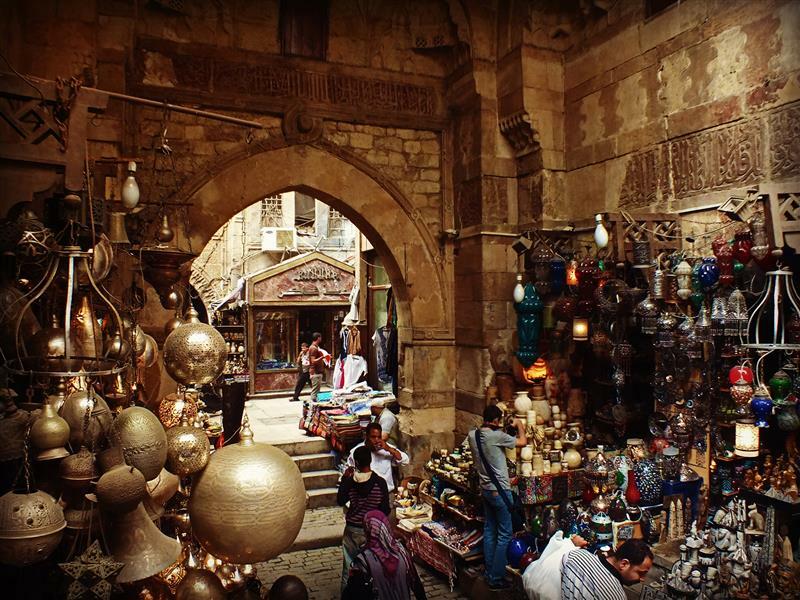 Khan Al-Khalili – this is considered Cairo’s best bazaar full of great souvenirs to bring home to your friends and family. Jewelry, spices, lamps, hookah pipes, scarves, you name it, it’s here! But be prepared to bargain. Never take the first offer and cut what they say in half. 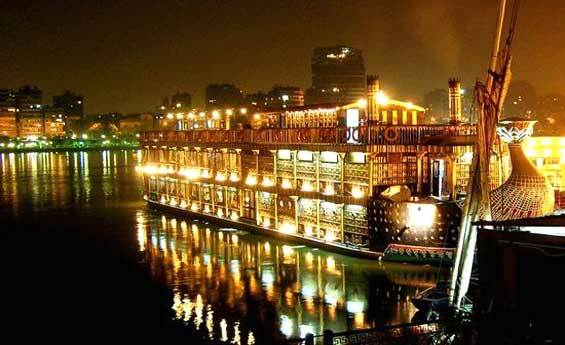 Dinner Cruise on the Nile River – there are many companies that offer cruises with entertainment and delicious food! It’s the perfect way to spend an evening. Before you leave for your trip, be sure to check with your country’s government website on safety and travel to Egypt. As of late 2015-early 2016, it was not recommended unless it was absolutely necessary.